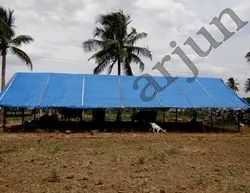 Prominent & Leading Manufacturer from Salem, we offer tents and cattle sheds. We supply Tents and customised cattle shed covers.. Looking for “Tents and Cattle Shed covers”?